Located in Palestine, Texas, Davey Dogwood Park is composed of beautiful rolling hills, which encompass a beautiful meadow and picnic area. The park is approximately 254 acres of natural beauty. 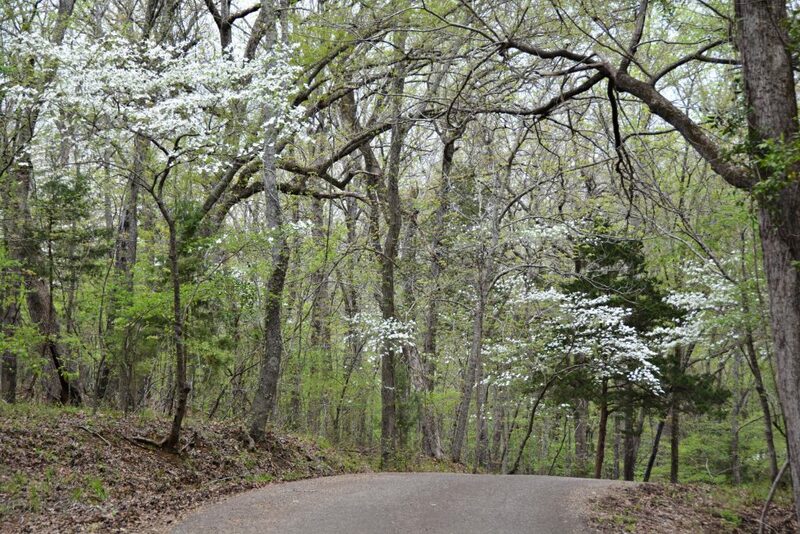 Texas Monthly added Davey Dogwood Park to their bucket list, shouldn’t it be on yours? In the article, “The Bucket List: 63 Things All Texans Should Do Before They Die,” Davey Dogwood came in at #56. M.A. Davey donated the property to Anderson County in 1944, as the scene of Texas Dogwood Trails. His public spirit and generosity will forever be reflected in Davey Dogwood Park and enjoyed by those who visit. The park is a featured during the annual Texas Dogwood Trails, held in late March and early April. While spring in the park gives way to magnificent blooms of all kinds, the fall months are not a lack luster season. Davey Dogwood Park puts on a magnificent color show at least two times a year, but always provides a naturally beautiful environment for nature lovers. Davey Dogwood Park is a perfect place for a picnic, birding, photo shoot, exploring nature, hiking, and biking, or just a leisurely drive. Read more about Davey Dogwood Park.